The existing houses consist of a “sandwich element”, an inner and an outer concrete element with insulation between. The Stofix wall brackets are fixed between the inner and outer concrete elements, to ensure the strength of the structure. 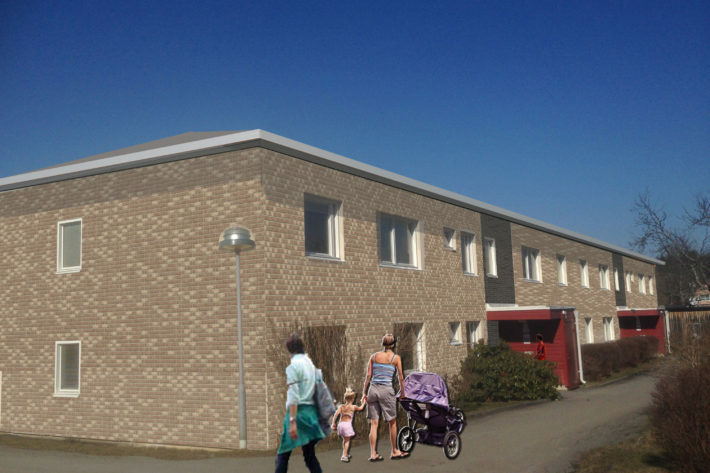 The outer walls will be extra-insulated (80 mm) and cladded with Stofix ventilated brick slip cladding system. The housing association’s goal is to create a new look with a new character for the area. The new roofs will be equipped with solar panels. The brick slips come from Feldhaus Klinker. Architect of the project is Carlo Diociaiuti, from Lumen Architects.